A variety of options are available for men who want to restore a more youthful look to their eyes and restore their more vigorous appearance. Probably the most popular are the use of Botox® or Dysport® wrinkle relaxers since results are immediate and have proved satisfactory for wrinkles around the eyes. 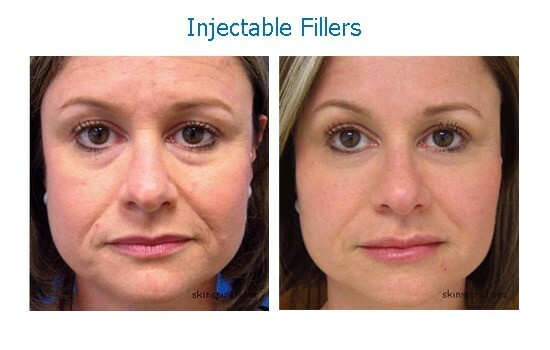 Aesthetic Injectables also have proved to be an excellent long-term solution. The best way to choose what will give you the best results is to come into Skinspirations for a free consultation with one of our skincare experts. Register here or call 727-571-1923 to make an appointment for your consultation. Often, we can arrange to do your treatment while you are here. Cosmetic muscle relaxants such as Botox ® and DysportTM have become the most common and popular cosmetic medical treatments world-wide. Simply put, cosmetic muscle relaxants are a protein that relaxes muscle. They are commonly used in the face to relax frown lines between the eyebrows, crow's feet and forehead creases. One of the main causes of the changes we see in our face as we age is the loss of fat and bone volume that occurs in certain facial areas faster than others, starting with fat loss above & below the eyes in our 20's. As it decreases we begin to notice depressions under the eyes that make us look tired & can even make the lower lids look baggy. Laser skin resurfacing is the process of using laser energy to replace a portion or all of the treated area of skin. It can provide dramatic improvement in crinkly, damaged skin because it's replacing old skin with brand new skin.Because these procedures vaporize the skin away, it's important to have a practitioner with extensive experience.